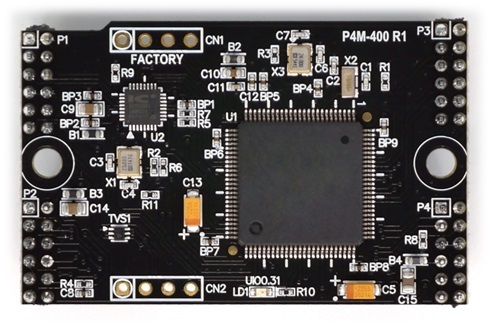 The P4M-400 is a module type of PHPoC product. Since PHPoC function is provided in module form, it is possible to implement the board suitable for user application. The P4M-400 supports 10/100M Ethernet as well as wireless LAN interface using USB type wireless LAN dongle. In addition, various interfaces such as analog input, UART, SPI, I2C, hardware timer, digital input / output, etc. can be implemented to meet various needs of users.